Source: Win South Oakland Junior High Title, citing newspaper photograph from Royal Oak Tribune; Personal Papers of Bruce Glover; privately held by Bruce Glover, [address for private use], Portage Michigan 49024, 2012. Photograph of Hazel Park Junior High basketball team from 1938-1939. 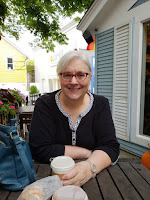 Original held by Bruce Glover; digital image by Brenda Glover Leyndyke. 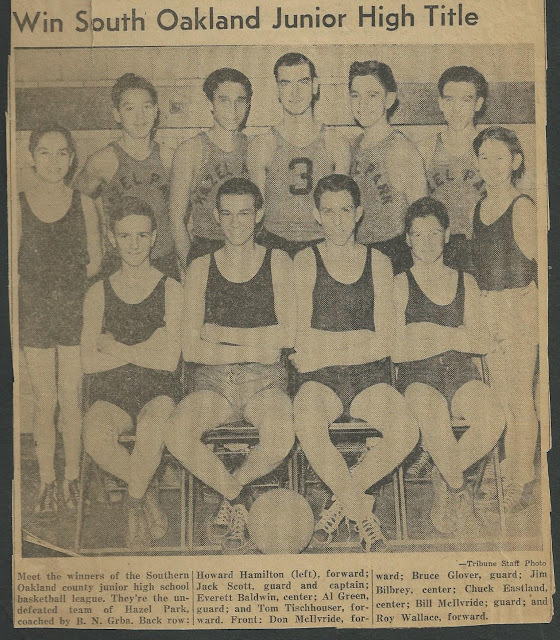 Caption: Meet the winners of the Southern Oakland county junior high school basketball league. They're the undefeated team of Hazel Park, coached by B.N. Grba. Back row: Howard Hamilton (left), forward; Jack Scott, guard and captain; Everett Baldwin, center; Al Green, guard; and Tom Tischhouser, forward. Front: Don McIlvride, forward; Bruce Glover, guard; Jim Bilbrey, center; Chuck Eastland, center; Bill McIlvride, guard; and Roy Wallace, forward. My flip pal scanner and I visited my parents last fall and I put it to good use. This was one of the pages that I scanned from that visit. It is about my dad, Bruce Glover, and his undefeated Junior High basketball team at Lacey Junior High School, Hazel Park, Michigan. My dad started his sports career early in his life and is an avid fan of sports even today. His playing days led to a coaching career that spanned almost fifty years. I will be sharing more about that in future posts.
" 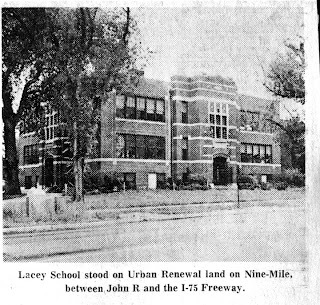 In 1938, I entered Lacey Junior High School, located on the main corners of Hazel Park at 9 Mile Road and JOHN R, which was about same distance as Hoover only in the opposite direction. It was at Lacey that I was first introduced to basketball as a sport, which I immediately became addicted to. I played on the 7th and 8th grade first team. This was still in the days when the one hand shot was unheard of at this level. The games we played were very low scoring usually ending with both teams score somewhere in the teens. I compare our team then with today’s junior high teams and I’m sure we would be blown off the court. I was never a scorer but pretty good defensively and usually was assigned to guard the opposing teams high scorer, a trend which continued for me on JV and Varsity later in high school." 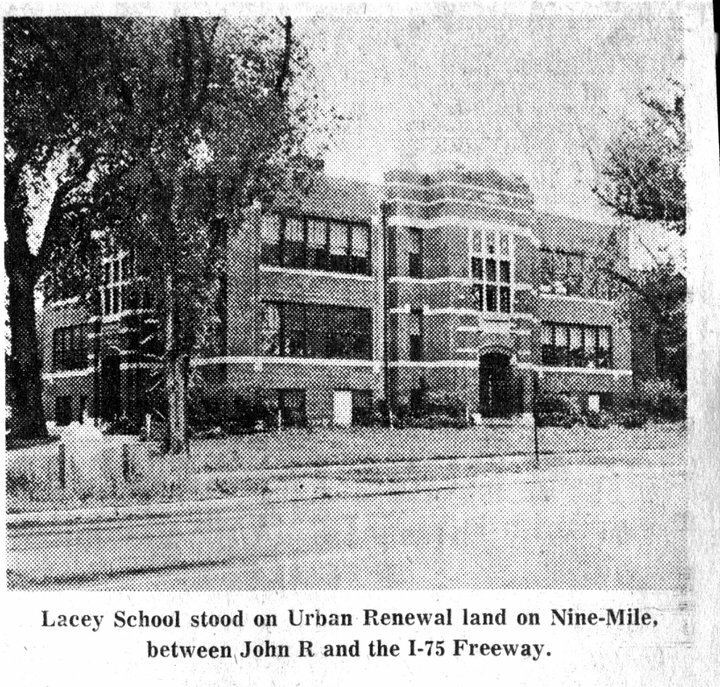 Lacey School has been torn down but the above picture is what it once looked like.